The Liberal Democrats finally have the satisfaction of seeing Cornwall turn competely gold, with the MP for St Ives retaining his seat. St Ives was the last Cornish seat to declare its result with Andrew George returned with a majority of 11,609. 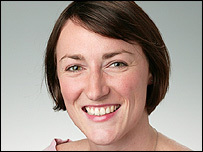 The whole county is now Lib Dem after Labour's only Cornish MP Candy Atherton lost her seat to Julia Goldsworthy. After a ferocious campaign, the Lib Dems came back from third place at the 2001 election to win by 1,886. Ms Atherton had held the seat for eight years. Nine candidates stood for the marginal Falmouth and Camborne seat in an election battle overshadowed by allegations of homophobia. Last September local Tory party officials unsuccessfully attempted to have barrister Ashley Crossley, 33, who is gay, deselected as their candidate. Earlier this year Ms Atherton was taken to an employment tribunal by her gay former researcher, who alleged she asked him to "dish the dirt" on Mr Crossley. In March, the tribunal dismissed her part-time research assistant Paul Phillips's claim of discrimination on the grounds of sexual orientation. Speaking after the declaration Ms Atherton claimed she knew it would be a close result. She said: "But I thought that we would hold the seat because there was a great deal of support. "You can see the changes; a university, regeneration, affordable homes, actually delivering on issues people of Cornwall were wanting." Liberal Democrat Colin Breed held onto the Cornwall South East seat. It was his second victory since taking the seat from the Conservatives in 1997. This time Mr Breed increased his majority over the Conservative Party by nearly 2% to 6,507. He said his party's performance heralded the arrival of three-party politics. He said: "We are stretching into places we never thought possible only a few years ago. "First past the post is not appropriate to a three-party situation." Ashley Gray for the Conservatives saw his party's share of the vote fall slightly, as did Colin Binley of the Labour Party. Matthew Taylor also held Truro and St Austell for the Liberal Democrats with a slightly reduced majority. He said: "This gives me the chance to do the thing that I most want to do to, to represent the constituency I was brought up in and spent most of my life living in." Dan Rogerson, who replaced Paul Tyler, held Cornwall North for the Liberal Democrats with a substantially reduced majority, down from 18.2% in 2001 to 5.5%.